This is a match scoring system for stadium. 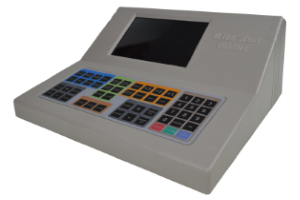 Its functions include: Match management, Scoring, Timing, Statistics reporting, and Advertising displaying. It supports over 40 match types, including Ball games, Combat, Gymnastics, Aquatics and Winter Sport and so on. This system has been used on thousands of stadiums all over the world. It has handled a lot of international games successfully. The core of the system. Which can taking charge of all the match management and scoring functions. The unattended PC is for display the scoreboard and the media contents onto the screen. 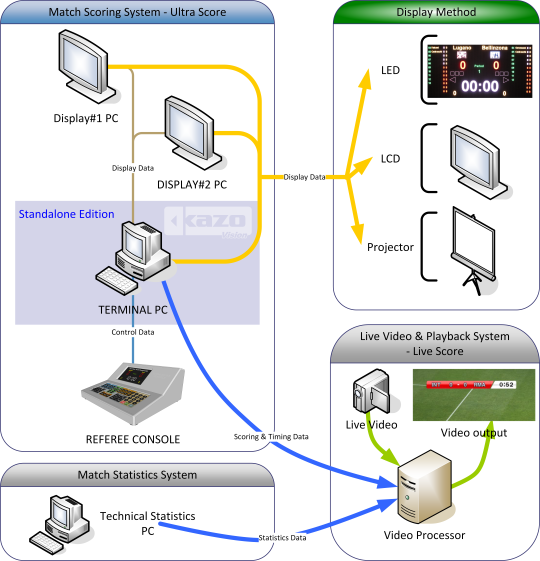 Professional console device for scoring and timing during the match.